Calendula officinalis is known as Pot Marigold because of its goldish petals and for its varied use. This plant is widely cultivated and can be grown easily across the world. It is also commonly used in cooking as both a flavoring and coloring agent in soups, cheeses, garnish and as homeopathic medicinal herb in Roman, Arabic and Indian cultures. The use of Callendula comes from its gold petals and pollen because it contains antibacterial, antioxidants, and antiseptic properties. Calendula is a great homeopathic antiseptic. 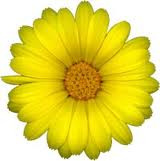 Germs cannot thrive in the presence of Calendula. It is used for painful wounds, un-healing wounds, gaping wounds, neglected wounds, and torn wounds. Calendula prevents early scab formation at the wound site and stimulates the growth of skin and helps to stop scars. It also promotes healing after dental work. Calendula is the gold in homeopathic remedy because the whole plant has many uses starting from petals to pollen and leaves and branches is essential. Calendula has been used medicinally for centuries. The extracts prepared from them are used in hundreds of products such as soothing teas lotions, for antisepsis, chapped skin, tooth aches, and insect repellent. The extracts contain soaps and essential oils therefore it can be used in creams and ointments to soothe skin and sprained muscles. Furthermore, the leaves and stems also contain Vitamin A. Apart from many uses it is also has importance in cancer therapies. Medical evidence was shown by a study done in women receiving radiation therapy to the breast for breast cancer reports that calendula ointment applied to the skin at least twice daily during treatment reduces skin irritation, redness, and pain. In women it was also shown to give soothing relief during and after delivery. In summary, Calendula is wonderful to have around the house in many forms, as a cream, in tincture, ointment form due to its varied uses. It is definitely gold of homeopathic remedies.